Croton Water Treatment Plant - Carpenter & Paterson, Inc. The Croton Water Treatment and Filtration Plant is a major facility that supplies drinking water for the City of New York. Being built entirely underground and requiring deep excavation and extensive rock boring to provide the necessary water tunnels, the four-story plant will ultimately treat 1.2 million cubic meters of water per day. 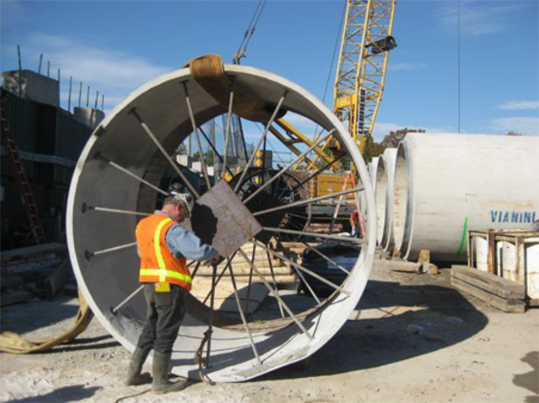 Carpenter & Paterson was responsible for furnishing engineering, materials and fabrication for the Engineered Pipe Supports including but not limited to: pipe hangers and supports, variable springs, anchors, guides and restraints for piping ranging from 12” through 66” diameter. 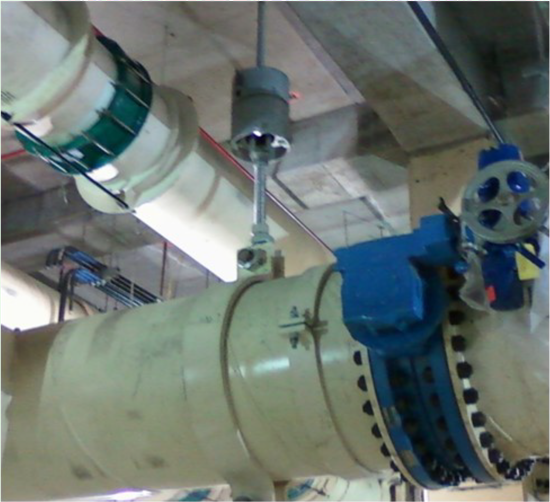 The project specifications required Carpenter & Paterson to perform a complete Piping Stress Analysis. The analysis had to include all load cases, such as, deadweight, multiple thermal and pressure ranges, seismic, pressure thrust forces and waterhammer. 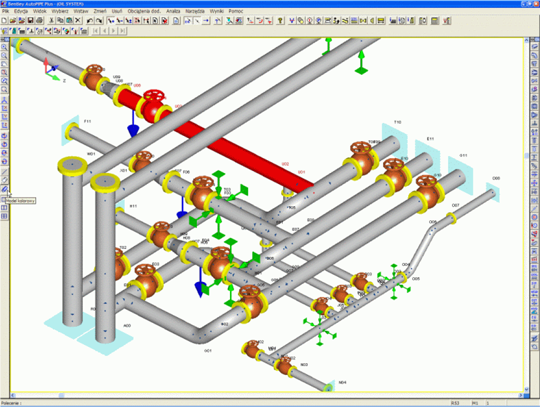 This work was accomplished using Bentley’s AutoPipe (version 9.3) pipe stress analysis software. Specialty engineered products such as the Variable Spring hangers were fabricated, assembled, and tested at the Carpenter & Paterson facility located in Waggaman, LA. Special care was taken to ensure the supports would not interfere with the piping or structure in the tight spaces inside the plant. Carpenter & Paterson and Bergen Pipe Supports produced over 2000 supports for these unique facilities adhering to customer and City of New York strength specifications, standards and delivery requirements. 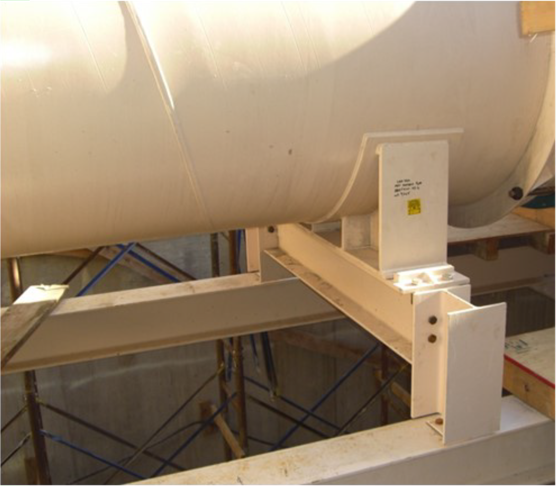 C&P designed, engineered, and fabricated supports such as this pipe anchor. By performing both the engineering and the fabrication, we could ensure every support would perform as intended as well as fit perfectly for an easy weld installation. Large diameter Type 316 Stainless Steel and Epoxy coated Carbon Steel slide supports and guides were fabricated and assembled at Bergen Pipe Supports in Donora, PA. 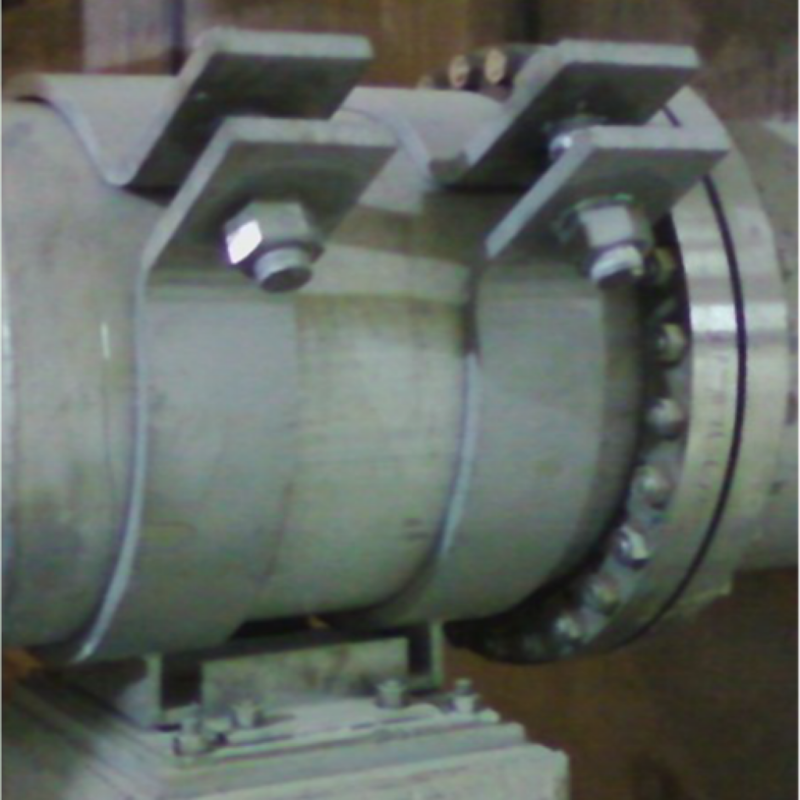 The stainless steel anchors (above left) restrain pipe movement in all directions, while the carbon steel guides (above right) restrain pipe movement but allow for expansion axially with the help of PTFE slide plates. 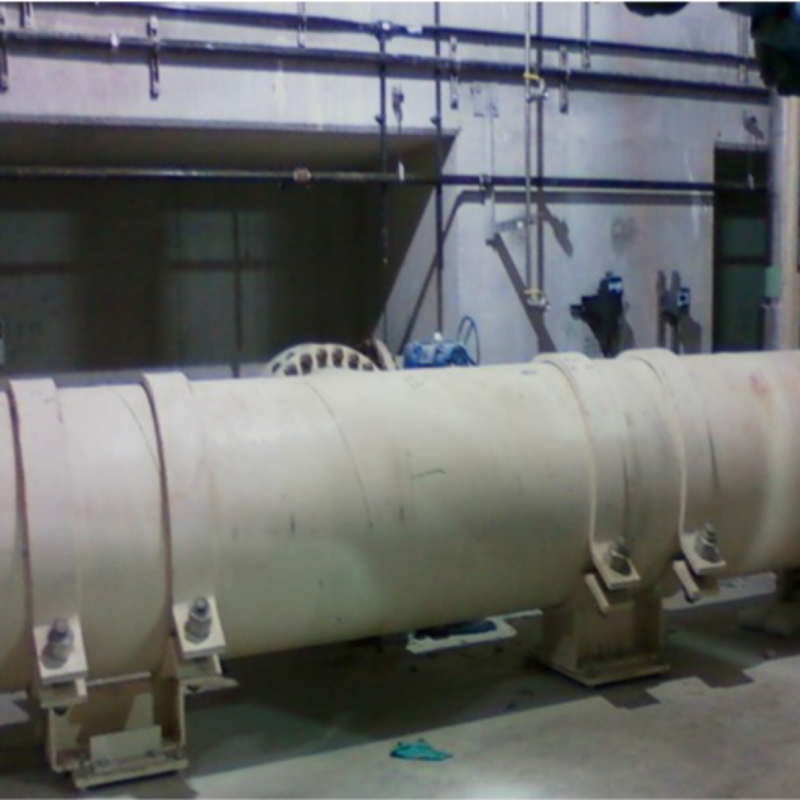 > Scope: Pipe analysis and engineering along with C&P and Bergen Power supports for 12” through 66” pipe size. The unique underground construction of the Croton plant will be undectable by the average citizen, with much of the plant taking up the area beneath Van Cortlandt Park.